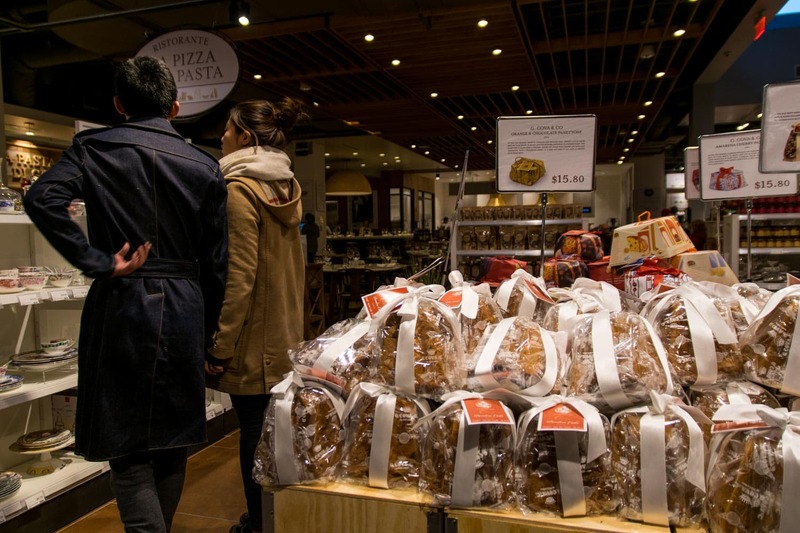 In the words of famous chef and Eataly partner, Mario Batali, “Hello Boston! 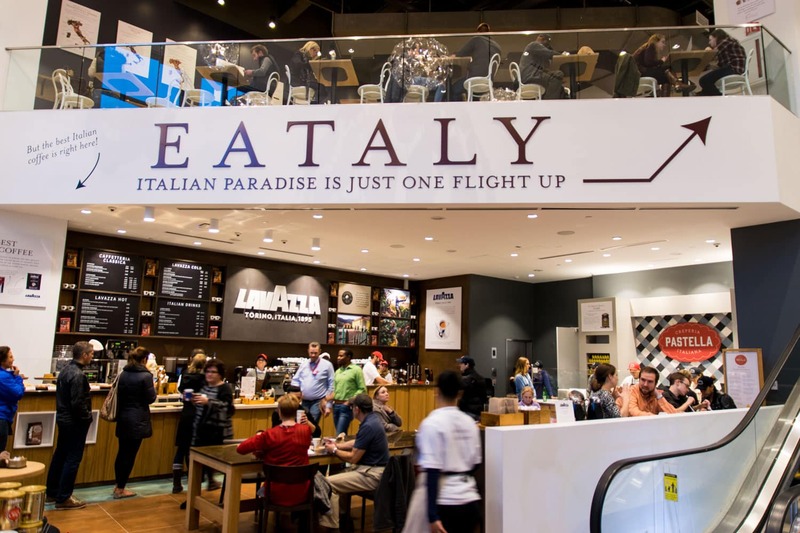 You have chosen us and we have chosen you!” Eataly Boston has finally arrived at the Prudential Center located at 800 Boylston Street, right up the street from the Lenox. 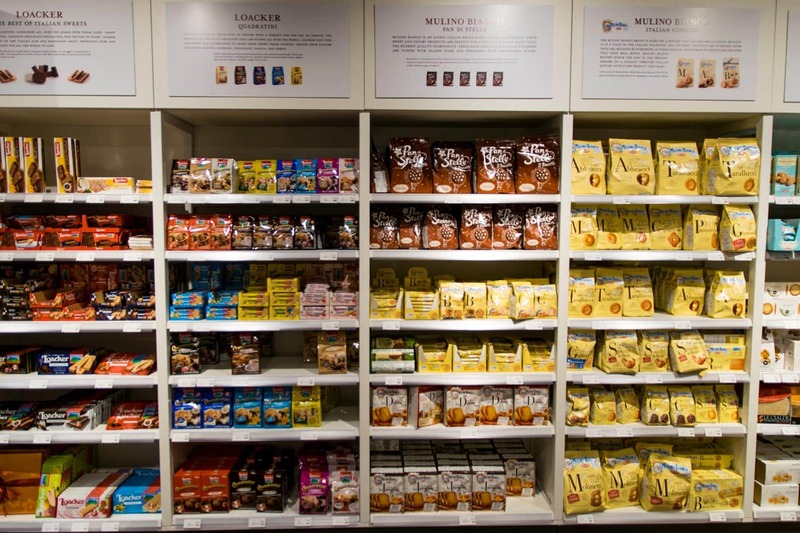 Spanning over 45,000 square feet, over three floors, it is a huge win for Boston! 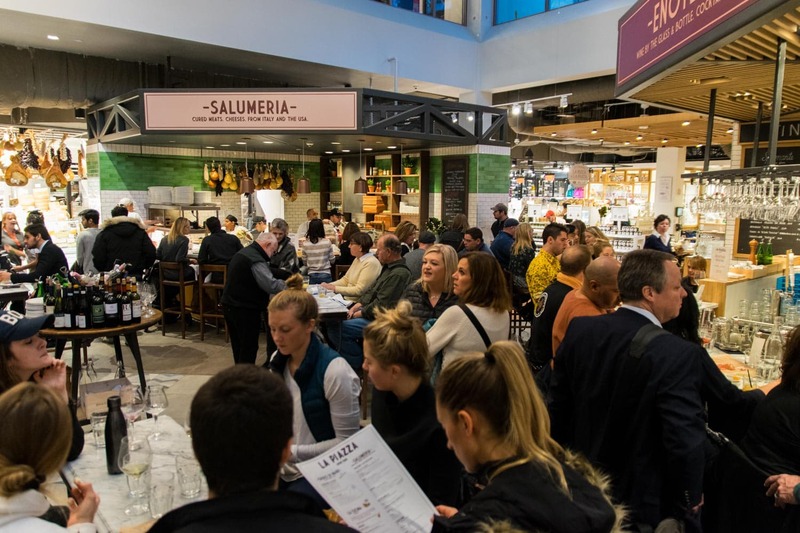 The concept is a fabulous recreation of a typical Italian marketplace, featuring a great Italian wine shop, wonderful cheese, pasta and bread stalls, along with full service restaurants and more casual grab and go eateries, perfect for a quick Back Bay lunch! 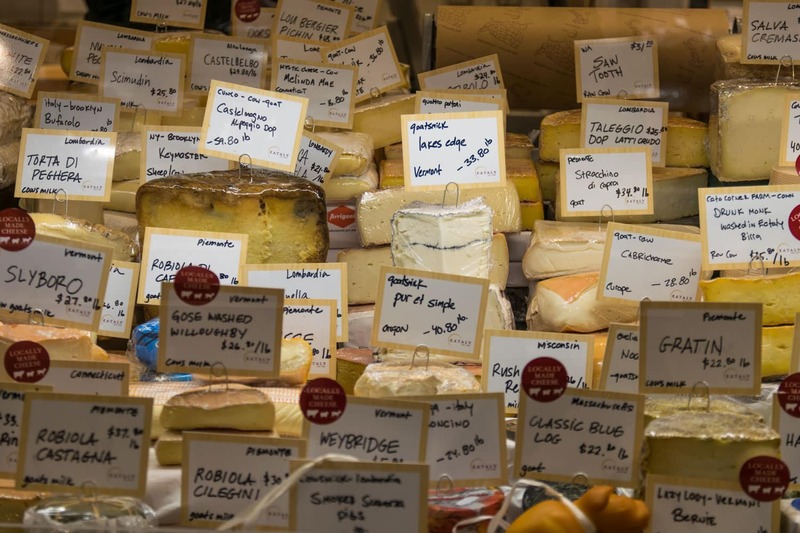 Not to be missed attractions include their incredible cheese case, featuring a rotating selection, including many local favorites- of over 700 varieties. 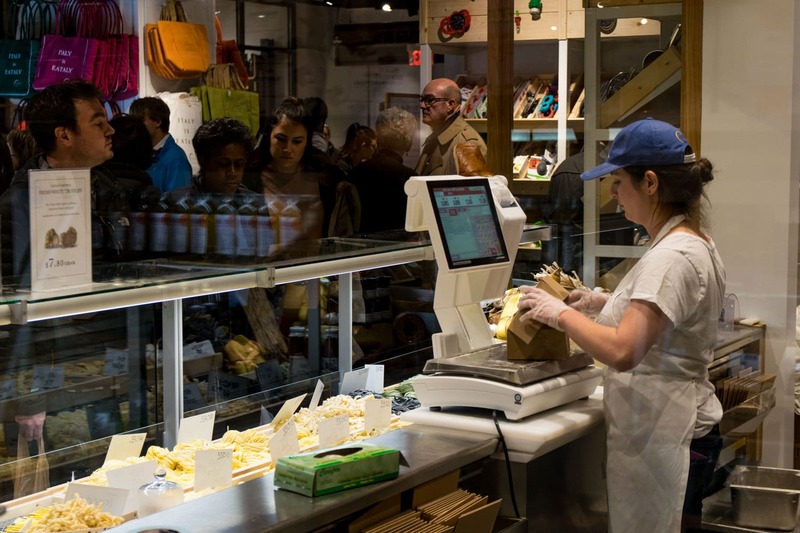 All mozzarella and burrata is made on premise with the promise that any variety sold or used in their restaurants is no more than 4 hours old. 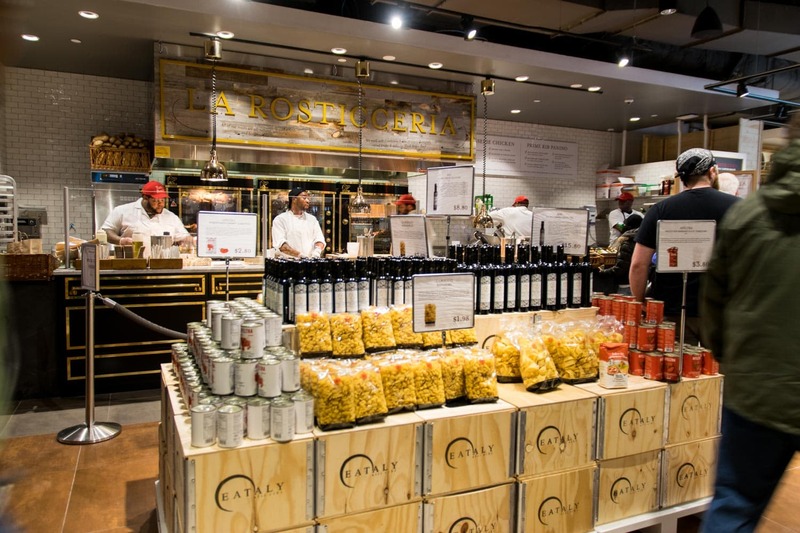 The fresh pasta display is staffed by an artisanal chef, happy to explain which particular type of pasta would be perfect for your evening meal. 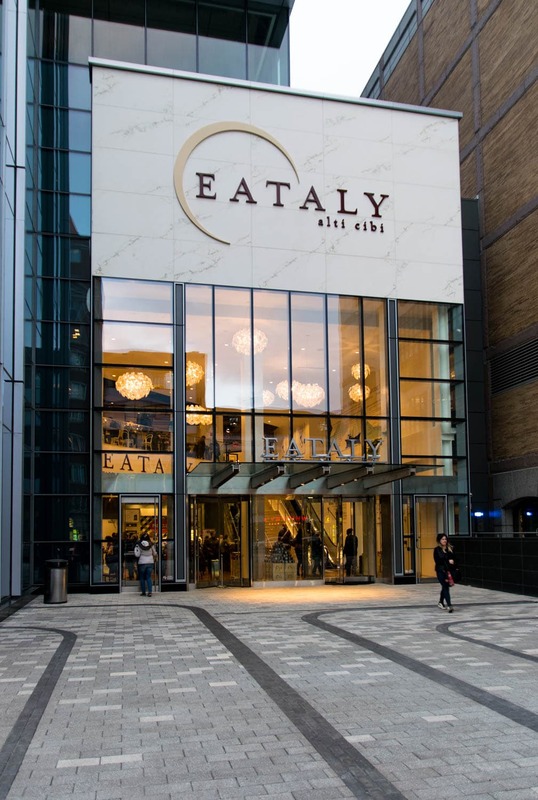 As you ride the escalator from the Boylston entrance, you will be greeted by a custom outfitted Cannoli Cart-the first of its kind in Eataly Nation- offering freshly filled ricotta, chocolate and candied fruit tubes of deliciousness! 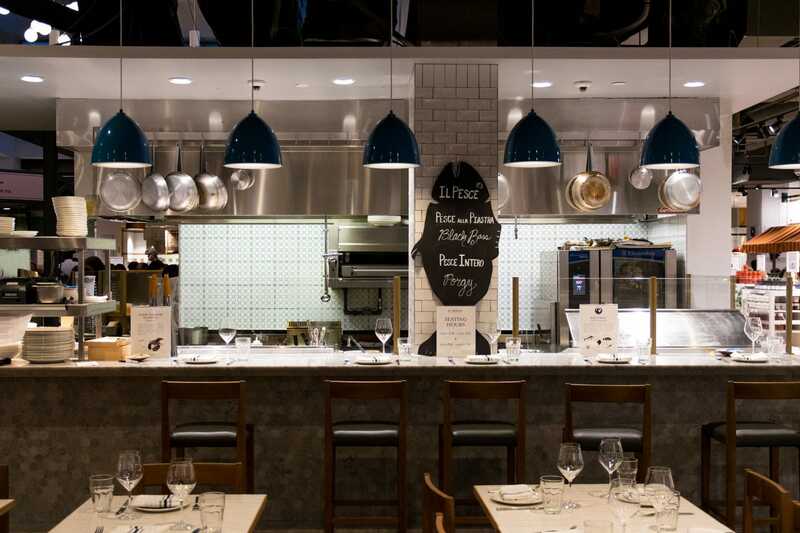 Another not to be missed Eataly experience is having dinner at IlPesce/Il Crudo, featuring wonderful fresh seafood in collaboration with beloved local chef Barbara Lynch. Il Pesce seats 64 with an additional 12 seats at the bar. What could be better than fresh New England Seafood paired with just-made fresh pasta in Italian inspired dishes!! 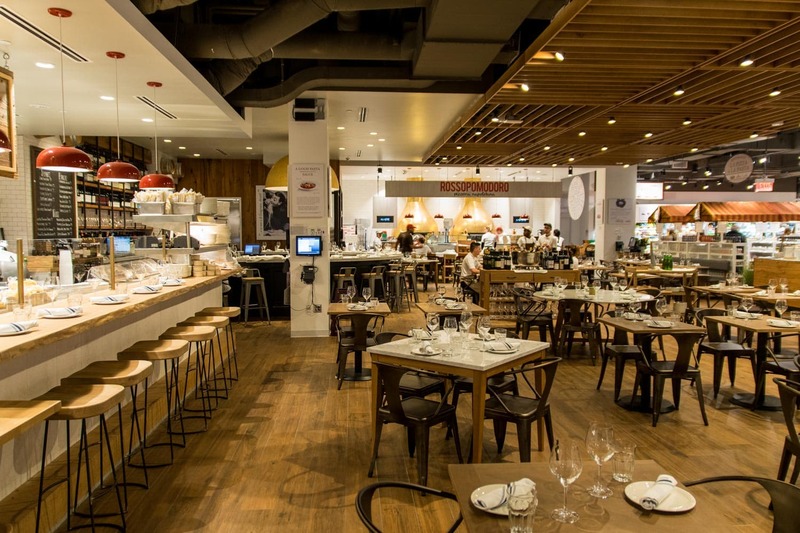 Note that all Eataly restaurants, take no reservations, with the exception of Terra-an exciting dining innovation planned for the 3rd floor-opening in 2017. 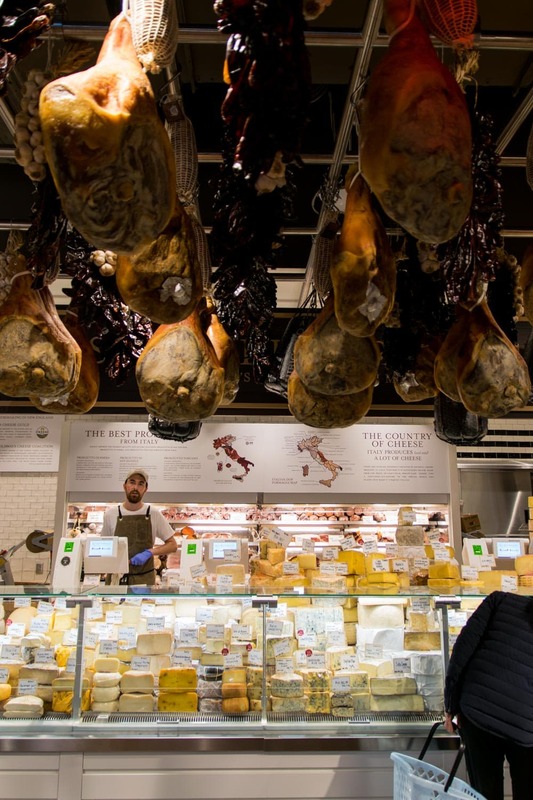 My recommendation for December is to take a well-deserved break from the hustle and bustle of holiday shopping, grab a seat at La Piazza, and savor a rich glass of Barolo and a delicious charcuterie plate enjoying the Eataly excitement. 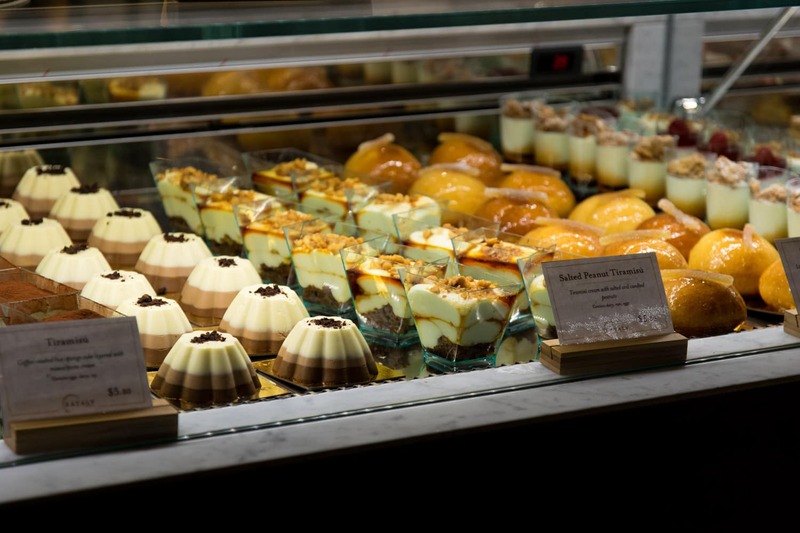 You might also indulge in the daily free sampling hour from 5-6pm. 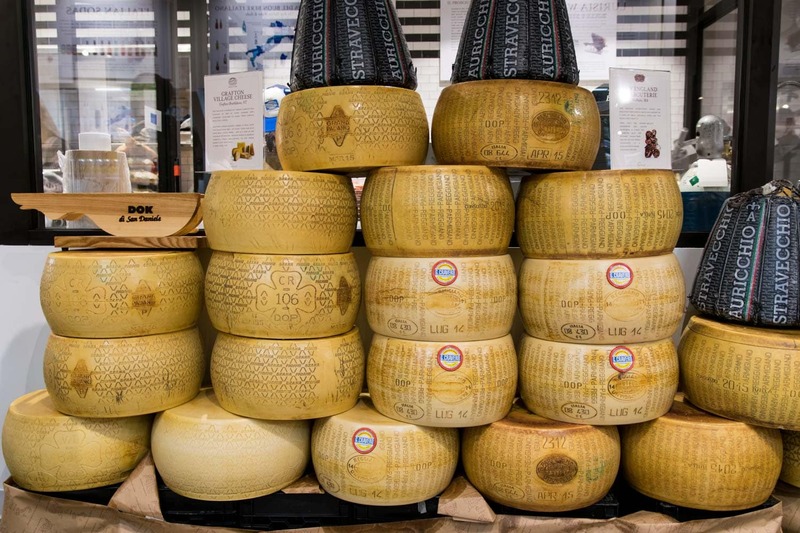 As the Italians say, life is so much more fun in Italy! Ciao Bella!